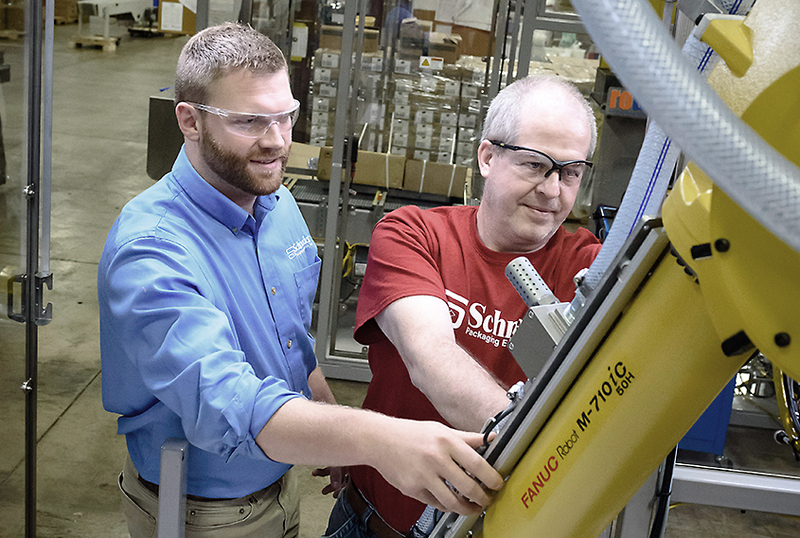 The Schneider Training Center provides our customers the opportunity to train on machinery in a controlled environment away from the distraction of the production floor. Located at our headquarters in Brewerton, New York, our Training Center allows us to replicate real-world production and troubleshoot applications without slowing or stopping production lines. Through hands-on training, customers can learn technical skills they will be able to use with their Schneider machines and technology. 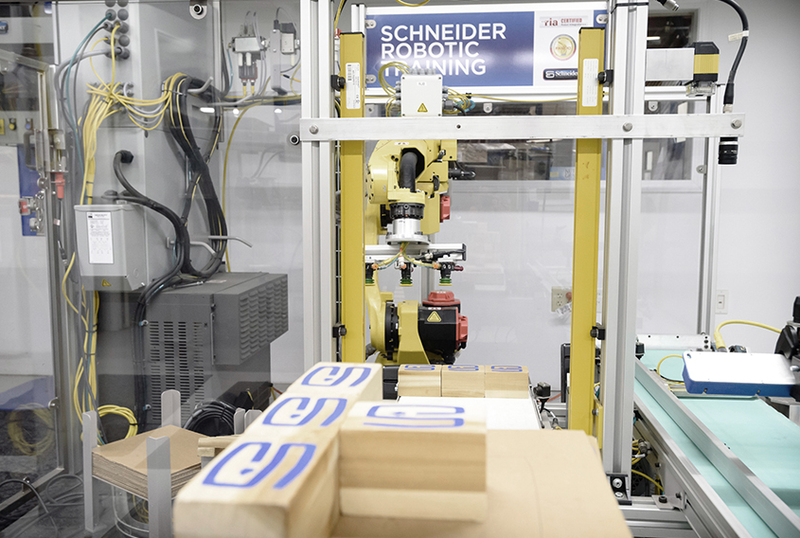 We feature a variety of machinery in our training center, from a scaled-down robotic palletizing cell to automation software and hardware. We have your needs covered to make your training at Schneider a success. The Schneider Customized Formal Training package consists of in-depth classroom training, machine documentation review and hands-on training. Each training is customized to cover all aspects your company’s machine and any requirements your personnel have. Not all aspects of the training topics may apply to your specific equipment. Prior to your training, a Schneider Service Team member will customize your training to ensure all aspects of your machine are covered. Assessment testing is not included in the development price. Contact service@schneiderequip.com to schedule a training.